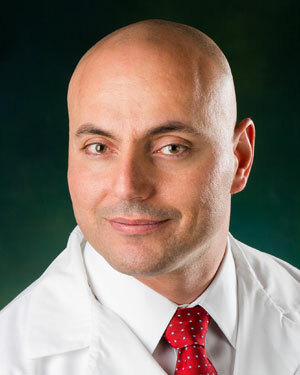 Dr. Mahir Elder is an interventional cardiologist at the Detroit Medical Center, Cardiovascular Institute with a specialty in minimally invasive procedures. He is medical director of the Cardiac Care Unit at Harper University Hospital and the Asst. Program Director of Wayne State University School of Medicine Interventional Fellowship program where he teaches doctors these complex cardiac procedures. Dr. Elder holds multiple board certifications in internal medicine, cardiovascular disease, endovascular disease, vascular interpretation and nuclear cardiology. He specializes in peripheral arterial disease, intracoronary and carotid stenting, vein disease and complex cardiovascular disease. He has developed numerous clinical trials and research on endovascular procedures and complex vascular cases. Dr. Elder is also an Asst. Clinical Professor of Medicine both at Wayne State University’s School of Medicine as well as Michigan State University’s College of Human Medicine. He is the highest volume operator of peripheral arterial disease in the state of Michigan. With a specialty in Cardiology and seven (7) national board certifications Dr. Elder is the highest volume operator in peripheral arterial disease and amputation prevention in the state of Michigan. He is best known for bridging any gaps for disparities of care in the community and being available 24 hours a day, 7 days a week. All doctors know that they can send him patients whether they have insurance or not. He and his group have taken care of thousands of patients without insurance at their own cost.